He Went To Prison For A Murder He Didn't Commit, Then Met The Man Who Put Him There Rickey Jackson served nearly four decades of a life sentence. Recently, he sat down with the man whose false testimony led to his wrongful conviction. 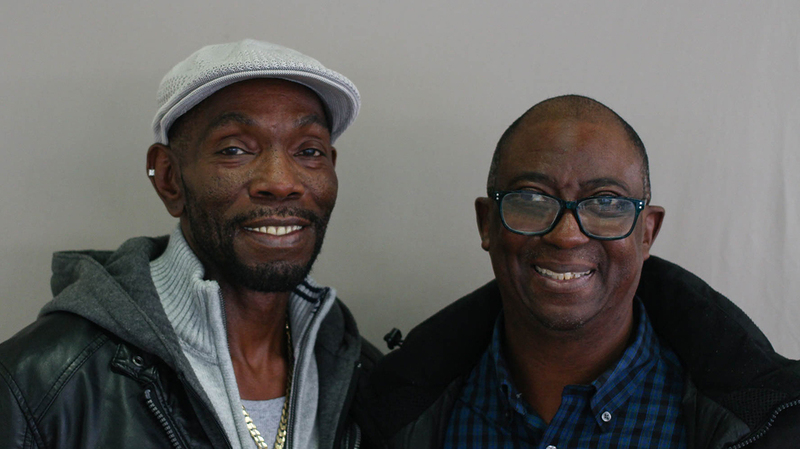 Rickey Jackson (left) and Eddie Vernon met one-on-one for the first time in 2014, after Eddie corrected his 1975 testimony (given when he was 12) that led to the wrongful conviction of Rickey and two other men. Rickey Jackson spent nearly four decades in prison for a crime he didn't commit. In May of 1975, when a shopkeeper at a small Cleveland grocery store was slain during a robbery, Eddie Vernon, then 12 years old, served as the main witness in the case. Eddie — who, in fact, hadn't seen anything — says he was pressured into testifying by police. His testimony led to the convictions of three innocent people, including Rickey, who was 18. The three men initially received the death sentence, but that was reduced to life in prison in 1977. Shortly thereafter, capital punishment in Ohio was ruled unconstitutional. It wasn't until 2014 that Eddie, at age 52, came forward with the truth. After his release, Rickey reached out to Eddie, and they met up. 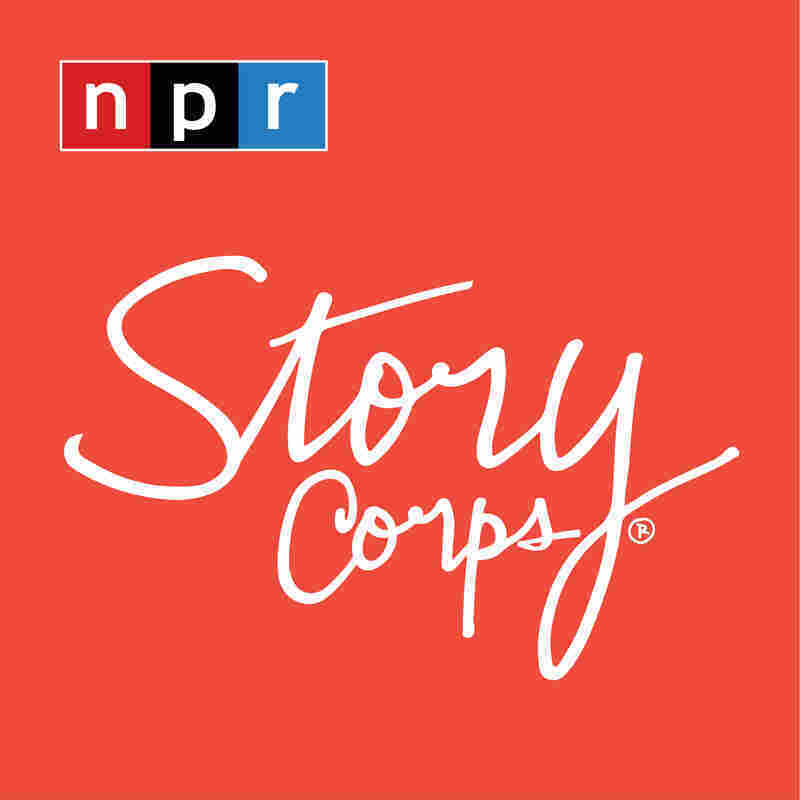 Three years later at StoryCorps, they sat down together for their first in-depth conversation about what happened. "I went through 39 years of incarceration because of some things that you put in motion," Rickey, 60, tells Eddie, 55, during their StoryCorps interview in Cleveland. "Throughout the years, did you ever think about me?" "Yeah," Eddie says. "I wanted to trade places because I said, 'It should be me instead of them.' As I grew up, I was depressed, suicidal. It ate me up so much inside, man." Rickey says he thought about Eddie, too — and he was full of hatred and loathing. "I even used to fantasize about ways that I was going to kill you," Rickey says. "We didn't have any physical evidence to bring back into court. It was just you." Eddie says he finally came forward because he was "tired." "I couldn't live no more like that, Rickey," he says. "I know that so much was taken away from you all, so many years. You all deserved your freedom." When Eddie walked into the courtroom hoping to amend his testimony, Rickey almost didn't recognize Eddie. "And, when they were cross-examining you ... I saw the little, 12-year-old kid in you," Rickey says. "But I also saw the strength of a man who had come there to do something, and the next thing I know, I'm a free man." "It was a very courageous thing that you've done," Rickey tells Eddie. So Rickey asked his lawyer if there was a way he could connect with Eddie. "When I saw you, all that stuff that I used to think about you, the animosity, I could hardly remember," Rickey says. "And, it might have been my imagination, but when we embraced, it felt like you just got lighter in my arms." Eddie felt it, too. "It took a whole lot off of my shoulders, the weight I'd been carrying for all these years," he says. "You did your part when it counted most," Rickey says. "You know that?" "OK," Eddie replies. "Thank you." "People still find it hard to understand that I forgive you and I think people confuse that with forgetting. I'm not going to ever forget," Rickey says. "But if forgiveness is my way out, I'll gladly take it." "And I thank God for that, man," Eddie says. "I really do, Rickey." "You know, after all that we've been through," Rickey says, "to finally be sitting here face-to-face talking about what happened, I'm saying, one man to another, I wish you nothing but the best. Always." After Eddie's testimony, the two other men convicted of murder also had their convictions cleared. The murder remains unsolved.